Now available with branch of service coin in hilt! This limited edition sword is only available thru Family Roots Inc. Our goal was to commission a design and create a custom piece to honor those who serve. Adorned with the symbols of battle, a stars and stripes handle design, scales of justice and guarding the blade are two spectacular eagle heads. 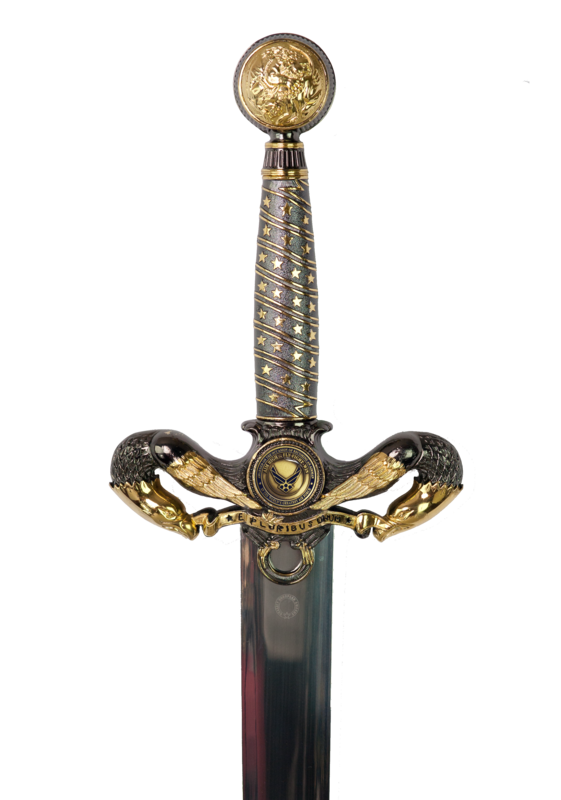 This masterful sword is the centrepiece of any collection. It measures 38 inches in length and is offered with your choice of engraving along the blade with 22 characters.